Marranitos also know as cochinos, puerquitos, Our marranitos get their delicious spicy-brown goodness from molasses. We take piloncillos — unrefined brown sugar pressed into small cone shapes — and boil the sugar with just enough water to make our own molasses syrup, which is then added to the dough for the little pigs. Then the dough is rolled out and cut with pig-shaped cookie cutters The result is unlike anything else you’ll find in a Mexican bakery. 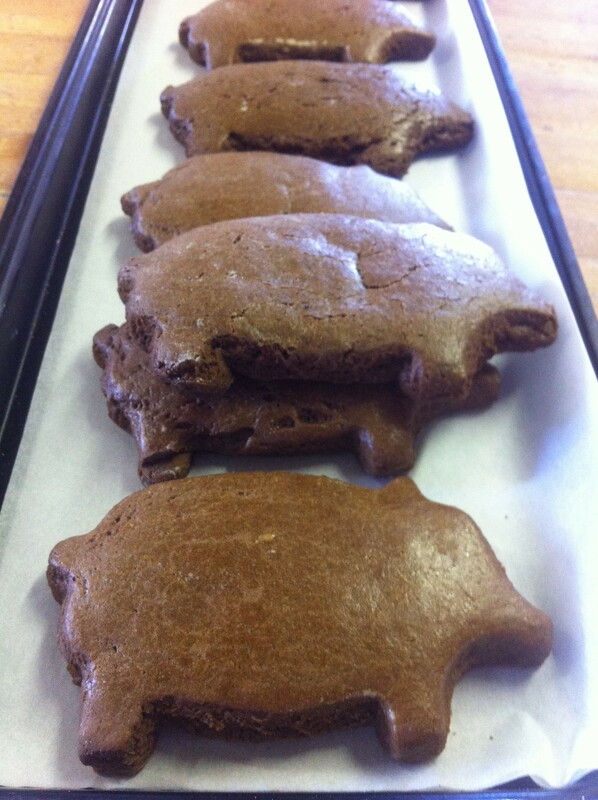 The humble brown pig is not quite cookie, not quite cake. The absolute BEST cookies ever! Just looking at the picture makes me want one, or 3 or 4. LOVE THEM!!!!!!!!!!!!!! Would love to see a touch of gingerbread spice added around the holiday time, but not a necessity for me to inhale those delectable piggies.